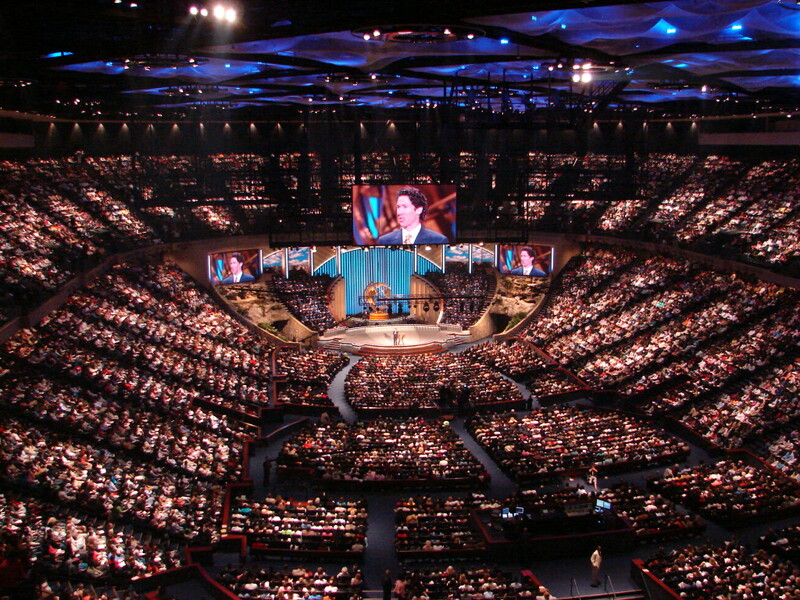 Removal of 20, including Joel Osteen, Joyce Meyer, Charles Stanley, David Jeremiah and other pastors from the airwaves. An organization has been granted a Federal Hearing on the same subject by the Federal Communications Commission (FCC) in Washington , D.C. Their petition, Number 2493, would ultimately pave the way to stop the reading of the gospel of our Lord and Saviour, on the airwaves of America . They got 287,000 signatures to back their stand! If this attempt is successful, all Sunday worship services being broadcast on the radio or by television will be stopped.. This group is also campaigning to remove all Christmasprograms and Christmas carols from public schools! You, as a Christian, can help! We are praying for at least 1 million signatures. This would defeat their effort and show that there are many Christians alive, well and concerned about our country. As Christians, we must unite on this. The email is completely false and proves once again that no baseless scare is ever too old or tired not to be rejuvenated by a quick facelift. An organization has been granted a Federal Hearing on the same subject by the Federal Communications Commission (FCC) in Washington, DC. Their petition,Number 2493, would ultimately pave the way to stop the reading of the gospel of our Lord and Savior, on the airwaves of America. They got 287,000 signatures to back their stand! If this attempt is successful, all Sunday Worship services being broadcast on the radio or by television will be stopped. This group is also campaigning to remove all Christmas programs and Christmas carols from public schools!! You as a Christian can help! We are praying for at least1 million signatures. This would defeat their effort and show that there are many Christians alive, well and concerned about our country. As Christians we must unite on this. Please don’t take this lightly. We ignored this once and lost prayer in our school and in offices across the nation. Please stand up for your religious freedom and let your voice be heard, while creating an opportunity for the lost to know the Lord. An April 2008 version claimed that broadcast of the Catholic Mass would be halted and Catholic television station EWTN (Eternal Word Television Network) would be shut down. This is one of many of President Obama’s way to control the freedom of speech and it is not just with this group or media outlet. He also wants to control all of talk radio. The impact of this will reach far into the communities around the country. Talk radio shows generate lots of money for many local charities and organizations which some of you support. The email is completely false and proves once again that no baseless scare is ever too old or tired not to be rejuvenated by a quick facelift. The first claim of this nature came in November 1999 and nearly three [now four] decades — and more than10 million letters,e-mails and phone calls later — the agency that deregulated the telecommunications industry and helped usher in the communications revolution seems to have met defeat in its fight against this one rumor. Since1974 — when the rumor first surfaced — the commission has spent untold dollars and employee time responding to citizens worried that the late Madalyn Murray O’Hair, the leader of a well-known atheist movement, is trying to halt all religious references on the radio and TV. Just to be clear: There is no O’Hair broadcast petition. In fact,O’Hair — the founder of American Atheists Inc., best known for championing a ban on prayer inschools — has been dead since 1995. Nothing else at the FCC rivals this rumor, in both its longevity and its bizarre ability to withstand the commission’s repeated attempts to convey the truth. Every year, around Christmas and Easter, something breathes new life into it. Last month, the FCC received 108 O’Hair-related correspondences. In October, it received 249, in September, 124, and in August, 91. It’s nothing short of exasperating for K. Dane Snowden, who heads the FCC’s consumer bureau and wishes he could finally dispel the rumor. “It is one of the most fascinating urban myths that continues to grow. The FCC has no authority to ban religious programming. It literally is a myth,” he said.